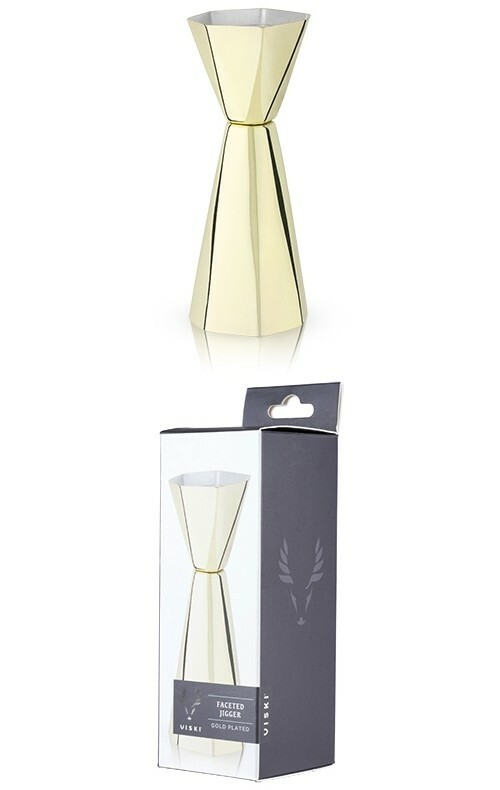 Intricate angles and an outer coat of gold combine to stunning effect in this faceted double jigger, elevating durable stainless-steel to instant classic status. Holds 1/2 to 1 1/2 ounces. "I've seen personalized sand unity set on other websites, but never the quantity and great quality I found on yours. I've got to tell you, I am so pleased with my order. Thanks for offering such unique personalized wedding favors." Leslie L.